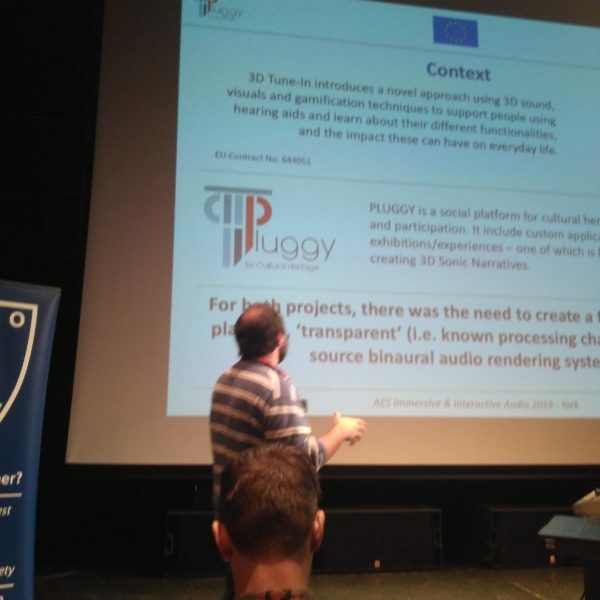 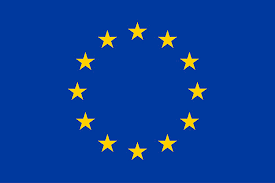 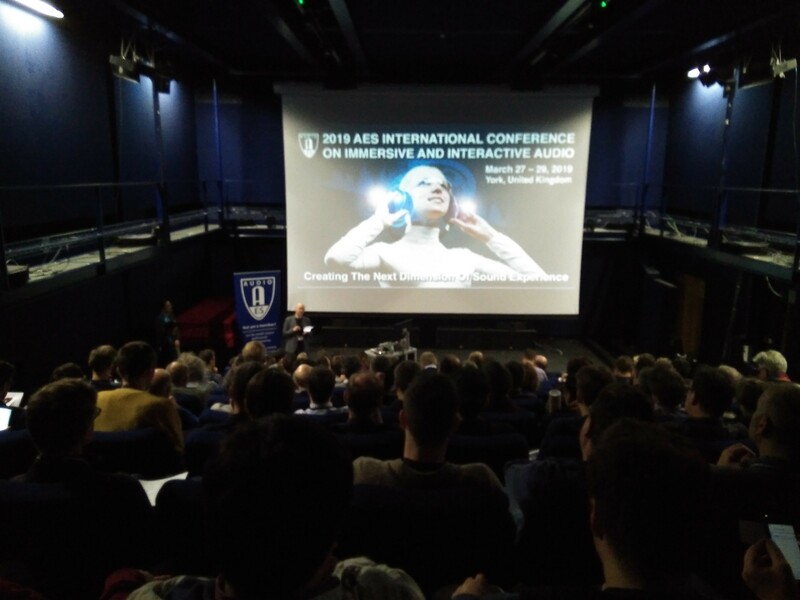 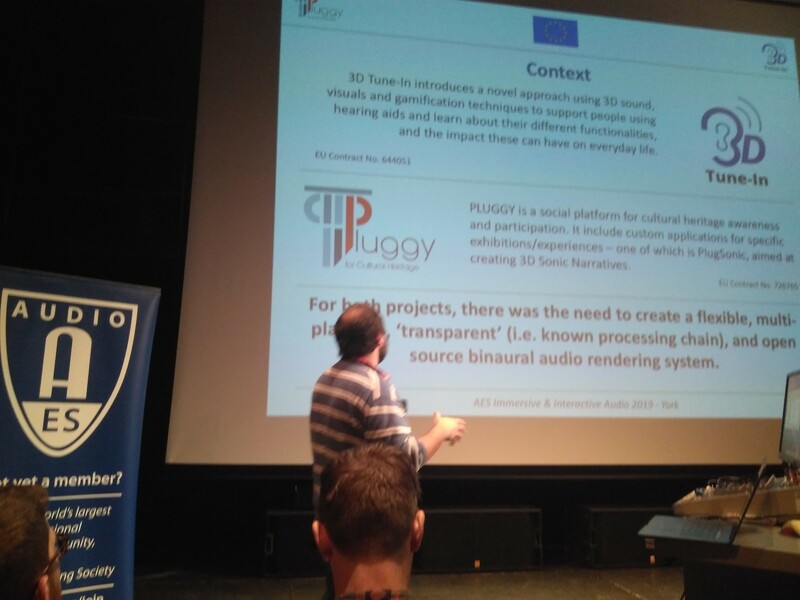 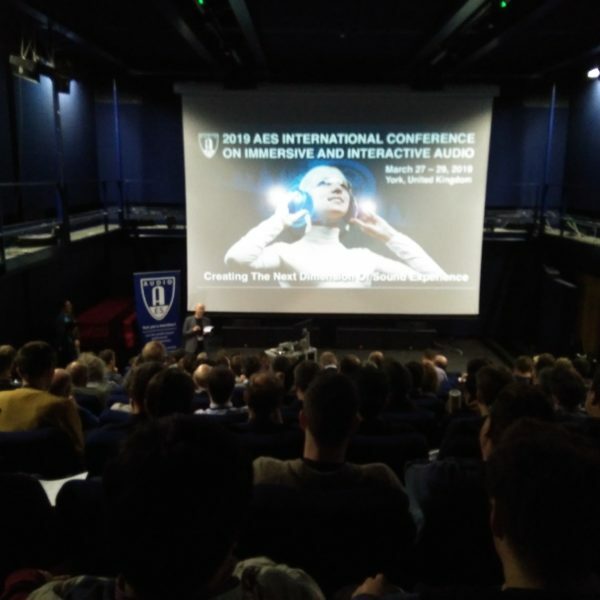 Pluggy participated in the AES Conference on Immersive and Interactive Audio that was held in York, UK on 27-29th March 2019. 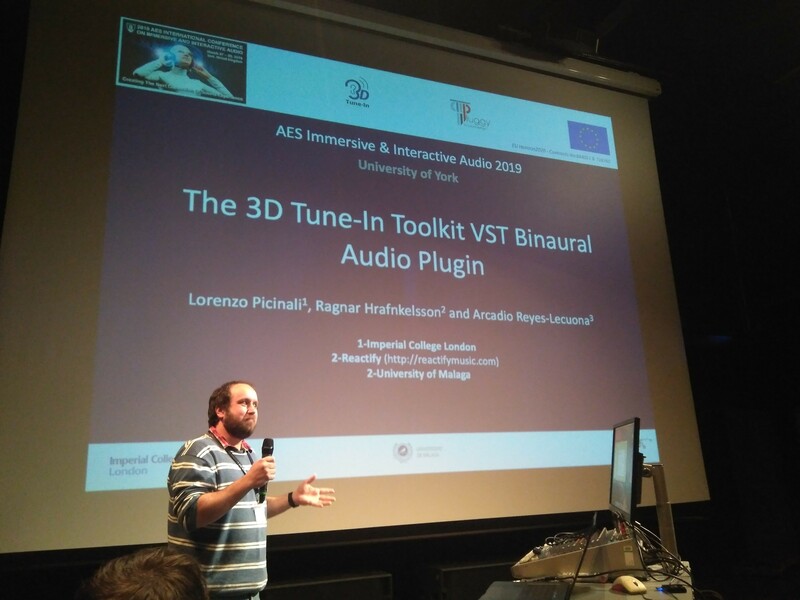 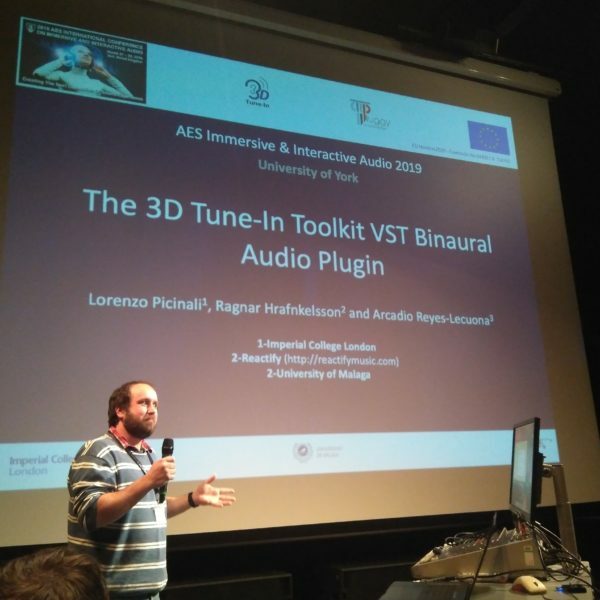 A PLUGGY paper entitled ‘The 3D Tune-In Toolkit VST Binaural Audio Plugin’ was presented by our partners ICL & UMA on 28th March with a lot of excitement for the PlugSonic Soundscape app by the participants. 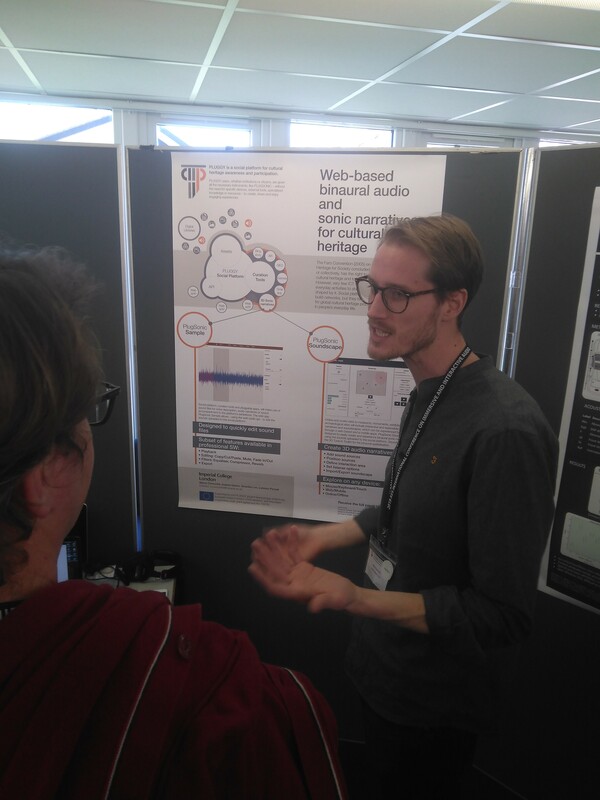 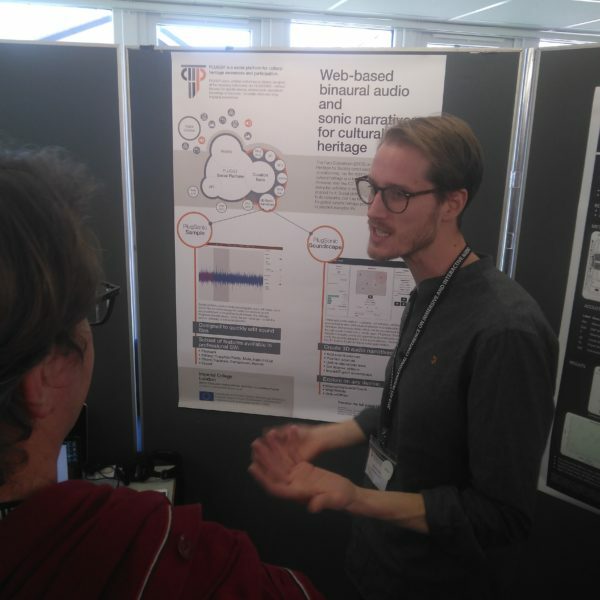 The very next day on the 29th March the poster ‘Web-based binaural audio and sonic narratives for cultural heritage’, which was visited by many visitors, was showed by ICL .